You may or may not have noticed that, oftentimes, diesel engines produce more torque than regular gasoline engines. What gives? Here’s why. Diesels use higher compression ratios, which translate into more torque. Diesel fuel undergoes complete combustion much sooner, meaning that the fuel spends more time pushing down the piston and translates into more useful work. Diesel engines tend to have a longer stroke length, meaning that the piston will travel further up and down the cylinder. If torque equals force multiplied by distance and you increase that distance, you get more torque. Diesel engines are usually turbocharged and built from components designed for a turbocharged engine, like iron blocks, heavy-duty pistons, etc. Also, diesels tend to burn lean, which means there’s more air to expand and create useful work. Diesel fuel is more energy-dense than gasoline. This means that you can extract more energy from diesel than you can from the same amount of gasoline. So there you have it! 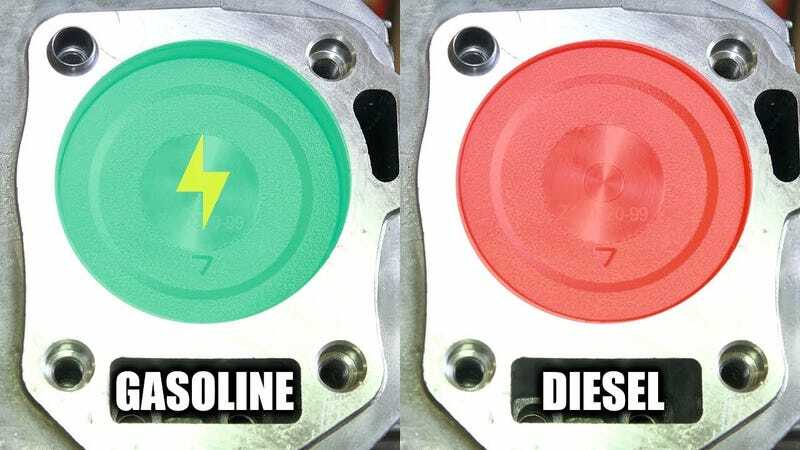 Whenever someone asks you why diesels are torquier than gasoline engines at your next TED Talk, you can write these down on your notecards and show off.